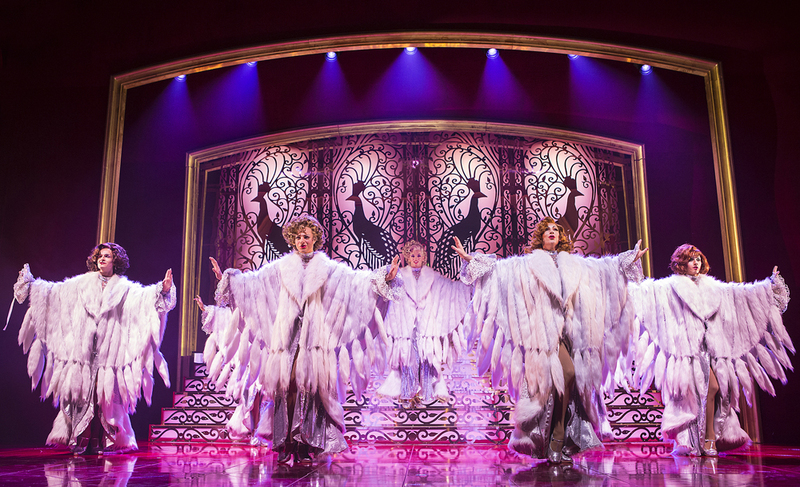 Now recognised as one of the world’s finest modern musicals, La Cage Aux Folles began life as a French stage farce of the same name. Written by playwright Jean Poiret, the play tells the story of Albin (otherwise known as Za Za) and Georges, a gay couple who make a living running a St Tropez drag nightclub. But behind the curtains of this sparkling extravaganza, all may be about to change. Georges’ son Jean-Michel announces his engagement to the daughter of a notorious right-wing politician determined to close down the local colourful night-life. Drama and hilarity ensue when a meeting of the parents forces them to cover up their vibrant lifestyle. 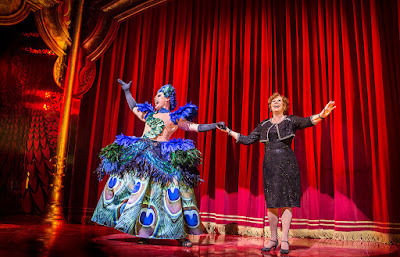 Bill Kenwright’s latest tour of La Cage is as unashamedly excessive but boy, oh boy, is it brilliant. 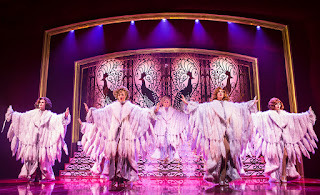 Directed by Martin Connor and starring John Partridge and Adrian Zmed as Albin and Georges respectively, this production has all the sequins, glamour and glitz a musical could ever need, but beyond this, it brings to the fore a story of identity and acceptance – a moral tale as resonant today as it was when it was first staged in 1983. 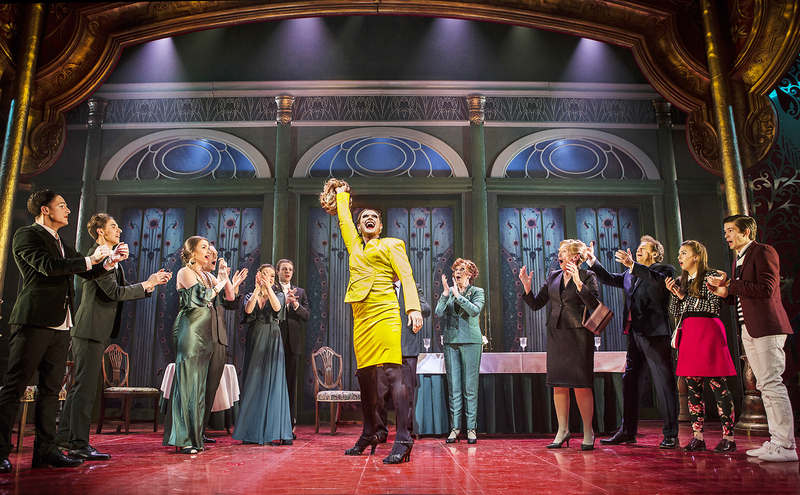 John Partridge, fresh from his run as Billy Flynn in the UK Tour of Chicago, is a marvel as Albin. 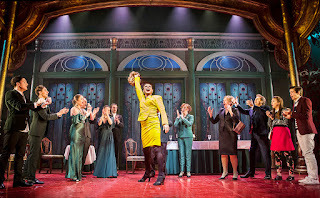 His vocal performance was breathtaking – the power and control of his singing was astounding and rendered me speechless at the conclusion of Act 1. During the title song, Partridge, in full Za Za apparel, breaks the fourth wall completely and interacts with the audience, berating them for not applauding loud enough, asking where they bought their “interesting” clothes and commenting about the thickness of their fingers (yes, really!). This was perfectly executed comedy and proved a real highlight of the evening. Adrian Zmed as Georges was wonderful. “Song on the Sand” was a particularly beautiful segment which he performed with charm, sincerity and candour. As his son Jean Michele, Dougie Carter was commendable. Whilst it was one of the most under-stated numbers of the evening, his performance of “With Anne on My Arm” was one of my favourites; effortlessly lovable and smooth. this show is incredible. Outstanding dance and athletic ability all round, with special mention to Dance Captain – Jordan Livesey. Some numbers could have been a little tighter, however this is a hyper-critical comment as quite frankly the energy and pace of the numbers is so fast and electric, they’re forgiven for not being absolutely perfect. Kudos to all the boys too for the quick changes they executed throughout the evening. Bar one fly-away wig, these all went off without a hitch! La Cage Aux Folles is what it is thanks to the magnificence of John Partridge at its heart. His voice is spine-tingling and it elevates this production from one which is good in its foundations to one which is magnificent to behold. A spectacle of confusion and illusion with a beautiful heart of sparkling sequins and wig tape.